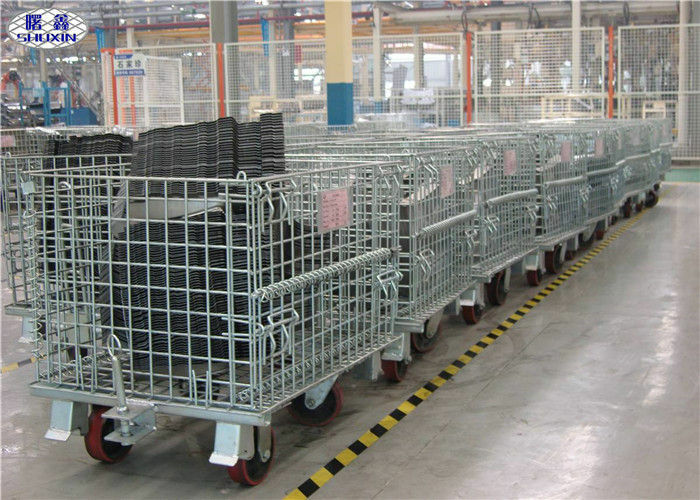 Stackable Steel Wire Mesh Cage With Wheels Mainly used on Warehouse, Workshop, and Express for Storage and Tansportation. It used with hydraulic pallet trucks or forklifts, can Improve Efficiency, Save space. Wire Mesh Pallet Cage mianly made by Low Carbon Steel Wire, Assembled by Welded Wire Mesh Panel, with a front Drop Gate. There is also U shape Channel at the bottom to reinforce the container solidity. Low Carbon Steel Wire, Q195,Q235, Galvanized Wire, Black Iron Sheet, PP plate, Galvanized Sheet. People often used Wire Mesh Pallet Cage in the Warehouse to stock and stack the goods, it is Visible, Convenient, Fast, Save Space , and easy to administrate. 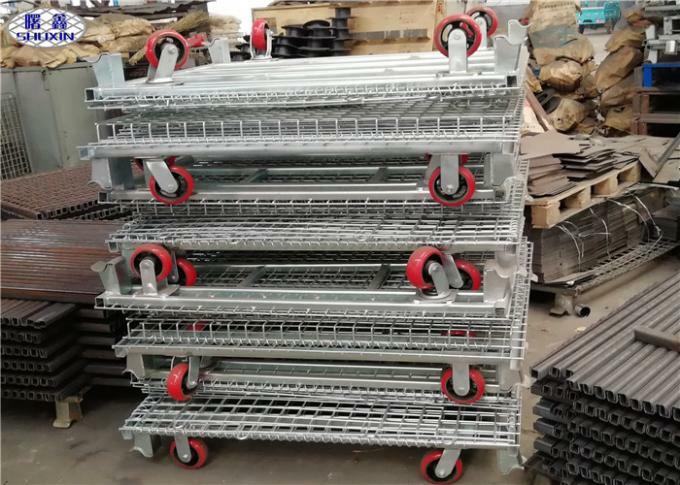 Workers like to put the parts or casting into the Wire Mesh Pallet Cage, It is easy to get out and put in, Save Time and make the process smoothly. Nowadays, As the Express and Transportation's Development, There are Greater demand for Wire Mesh Pallet Cage, to Store and transport. When Stocked the goods. It can see the goods clearly from the Mesh Hole , and easy to distinguish the goods, with high visibility Savings. 2. Handle, transport and store bulk parts and material on the efficient way. Used in warehouses and workshops for goods containing and carrying, Transport and Store Bulk Parts easily, on the efficiently way.